Besides her role as Mrs. California, Kristi M. Eddy worked hard throughout her life to get where she is today. Admitting that much of her early life was a struggle, she persevered and has a successful career in education. “I grew up in Los Angeles County with my mother, who worked tirelessly, but greatly struggled financially as a single parent. In addition, I was evaluated for special education at age five due to a debilitating speech disorder that prevented me from verbally communicating,”. Eddy rallied against these challenges and managed to earn a Bachelor’s and then two Master’s degrees. She currently serves as an Assistant Principal in Watts. 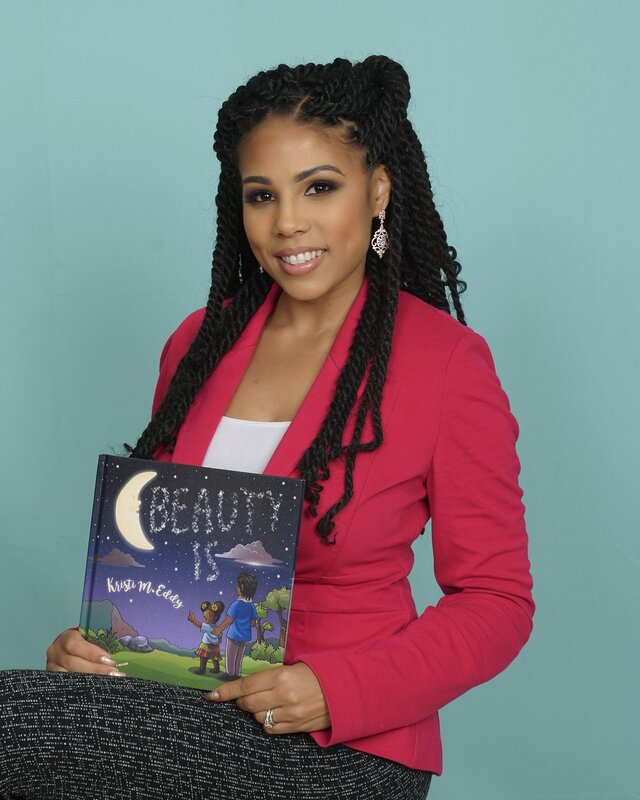 Her first Children’s Book, Beauty Is, is inspired by her belief that beauty is undefined. Beauty Is, is a rhyming children’s book that takes you on a journey to find beauty and as with most adventures, you often find your answer right where you began. In the day and age where looks are altered and filtered, Beauty Is helps children see the beauty in everyone. “I pride myself in being the beauty queen that says no to beauty norms. I know what its like to be bullied for your appearance and the affect it can have on a young child. With Beauty Is I want to change the dialogue around beauty for the sake of our children and inspire them to see beauty everywhere,” said Eddy.